The world has changed. Your world has changed with it. It takes energy to keep up with the changes. As the industry gets younger, your referrals are being replaced by people looking you up online. And, what happens if they cannot find you there? 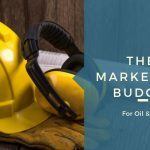 With more than 10 years marketing and media experience in the oil and gas industry, we understand the problems you face. We get it. We’re here to help you get found online. If you are dealing with younger and younger customers who want to find you on their mobile devices, then we can help. If you need quality job applicants to want to work for you, then we can help. If your job tickets get lost and are disorganized, then we can help. If you need someone to take over your website and social media management so your business can grow, then we can help. With stiff competition for good help, a job board integrated into your company website gives potential hires an opportunity to learn why they would want to work for you. List all of your open positions on your own website. By having your job board on your site, you’ve brought the job candidate to your own domain, where your best messaging lives to promote your company culture and benefits. Take that further step by creating a job board to make it easy for them to apply online. If your guys lose those paper job tickets, then you could use an online job ticket system! Integrate job estimates and invoicing or job/support tickets into your website so all of your client management is done digitally. Accept payments online. Your team members can do all their record-keeping and account management on their phones or tablets. Don’t let those tickets fly out the truck window any more! Let your site visitors know where you have locations and where you are working. We can customize the appearance of the map with custom labels that reflect your business. Users can filter the results by radius, and even see driving directions to your locations. Another benefit of this kind of visual is that you are constantly educating your marketplace on the size of your company and its field of operations. If you don’t do anything else, get a good website. People don’t use printed directories any more. And, referrals are being replaced by online reviews. If you don’t have a website, or yours is very out of date, you could be passed over for another company. Get a website that you own, not a freebie that ultimately belongs to the company that provided it. Stay in the race. Turn your website into your hub online. What most people do is pick up their phone and say, “I’ll Google that.” Make sure your company can be found when someone googles your service. Search Engine Optimization (SEO) is a multi-faceted, on-going process that helps the content of your website show up on Google searches. We have developed a proven-successful SEO process that will get your business found. Imagine this. You have the best team and your prices can beat the competition. How can you let potential clients know? By telling them in words and showing them pictures. This is content marketing. Let us write and deliver your message. We will publish it on your website, post it on your social media, and send it out through email. We’ll make sure people know how good you guys are! Let’s tackle your marketing questions together. Check out our report! 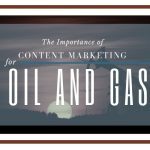 We researched the digital footprint of 100 oil & gas companies working in and around the SCOOP/STACK. If the only thing you get from this report is confidence to know if you are leading the pack or holding your own, then this quick read is time well spent. If the only thing you get is the motivation to jump ahead of your competition, then the time to skim this report is worthwhile. If you get both of these, then you’re a real winner! What if you could get a glimpse at what the bigger players in Oklahoma are doing with their websites and social media? What if you could copy some of their tactics and make your company look as sophisticated and savvy as theirs? What if you could take their ideas and crush your competition? Take a few minutes to read this report and let it super-charge you with ideas on how your company can improve your online presence. If you are not investing in building your website and online presence, you’re losing the battle for customers. You’re losing good quality job candidates. You’re losing ground to your competition. The following articles will help you not only catch up, but take over the lead! If you don’t want to miss out, take a brief glimpse through the OK Energy Media news section. See what’s happening around Oklahoma and especially in the SCOOP/STACK and Merge plays. What’s new and who’s upping their game and who’s taking it to the bank? Be in the know. Nearly half of Millennial and GenerationZ STEM talent are interested in a career in the oil and gas industry according to the survey was commissioned by ADNOC to examine future workforce and employment trends in the O&G industry. The recent theatrical release of The Iron Orchard, a film that plunges viewers into the West Texas oil and gas boom of the 1930s through 1950s, is a striking cultural marker against the anti-oil sentiment that has so long held sway in American popular culture. You can put things off another day or take the simple step to get a little more info. You'll find we're easy to talk to. And, you'll be glad you did.